The author's new revelation is that the Old City of Jerusalem can be seen as one large temple, the original Temple of King Solomon. Using street maps of the Old City, legends of the Temple's original measurements, and the numerical laws of the ancientcanon, he reveals an existing temple within the streets of Jerusalem. The essence of the temple is its plan, which contains the key to forgotten knowledge, the blueprint by which the universe was made, and the lost canon that provided laws and standards. 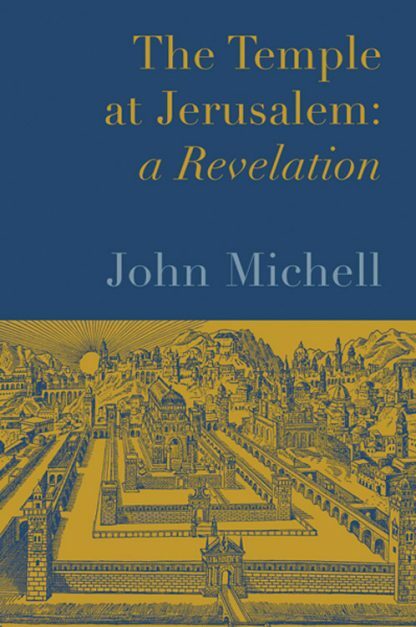 John Michell was educated at Eton and Cambridge, and qualified as a Russian interpreter and Chartered Surveyor before publishing his first book, The Flying Saucer Vision in 1967. This and its successor, The View Over Atlantis (1969), helped to change the attitudes of a whole generation to the culture, wisdom, and science of ancient and traditional societies. Michell has written many books including The New View Over Atlantis, At the Center of the World, Eccentric Lives and Peculiar Notions, and The Dimensions of Paradise. He lives in London.